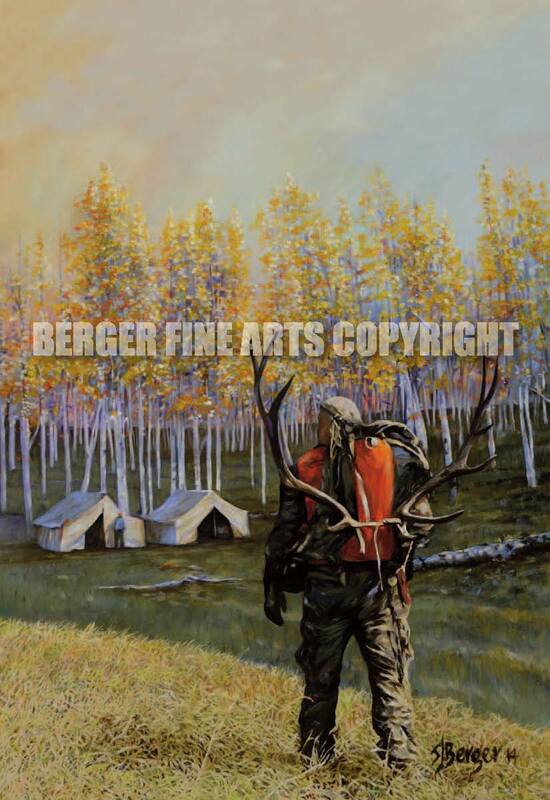 This painting features a successful Elk hunter returning back to camp at the end of a long day. Signed 14"x 17" giclee prints are now available. The original measures 29"x34" and is available for purchase. 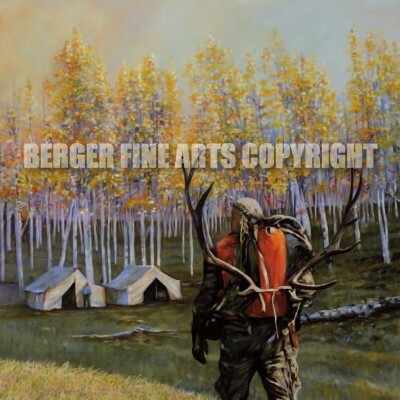 Email: steve@bergerfinearts.com if interested.